Directional control valves start, stop or change the direction of flow in compressed air applications. They are one of the most fundamental parts in hydraulic machinery as well and pneumatic machinery. They allow fluid flow into different paths from one or more sources. They usually consist of a spool inside a cylinder which is mechanically or electrically controlled. The movement of the spool restricts or permits the flow, thus it controls the fluid flow. Many manufacturers apply compressed air as the power to operate tools and equipment which are used to make the products they offer. To understand the different applications of compressed air and how valves are used, one must first have a knowledge of the kinds and types of valves used by industries. Miniature pilot valves are one of the most fundamental parts in hydraulic machinery as well and pneumatic machinery. They allow fluid flow into different paths from one or more sources. It not only has a micro size, but it’s very quiet when it works. 3. Acting type: 3/2 N.C.; 3/2 N.O. ; 2/2 N.C.
6. Advantage: smaller volum, low power, wide application, quick response, long life. 7. Disadvantage: The biggest orifice is 1mm, and the flow rate is 100L/min, maybe it’s limited in some areas. When you choose miniature pilot valves, you need to confirm the acting type and flow rate. To suit different environment using, there are three wiring design, Vertical type(L), Horizontal type(M) and Direct line type(G). Manifolds are available for many valves together. Usually they can be used for oxygen make system, inkjet printer system, socket machine, etc. 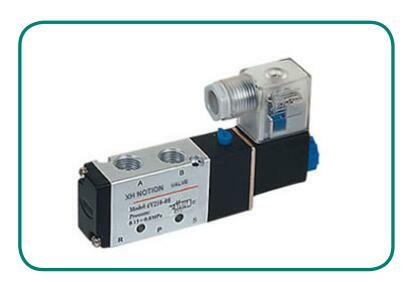 Directional solenoid control valves are common in pneumatic systems to control fluid direction within a pneumatic circuit. They are controlled by the action of the solenoid and typically control the compressed-air to cylinders, rotary actuators, grippers, and other mechanisms in packaging, handling, assembly, and countless other applications. The four main functions for directional-control valves are 2/2 (two-port, two-way), 3/2, 5/2, and 5/3. 5. Advantage: Compressed air can result in huge forces available to act on another valve and be recycled after its done its job, so it doesn’t add very much weight to the mechanism. When choose the directional solenoid valve, the action required by your application will determine the type of valve needed. How much flow do you need at the output port of the valve? It is important to know the required flow rate of your application in order to correctly size a directional control valve. If the valve is too big for the application, you will be wasting air & money. If it’s too small, the actuator will not function properly. Directional pneumatic control valve controls at a predetermined pressure setting, the switching pressure is generally a variable setting on the valve itself. A change in position of the directional pneumatic control valve (i.e. open or closed) occurs either gradually (by control) or suddenly (by switch). 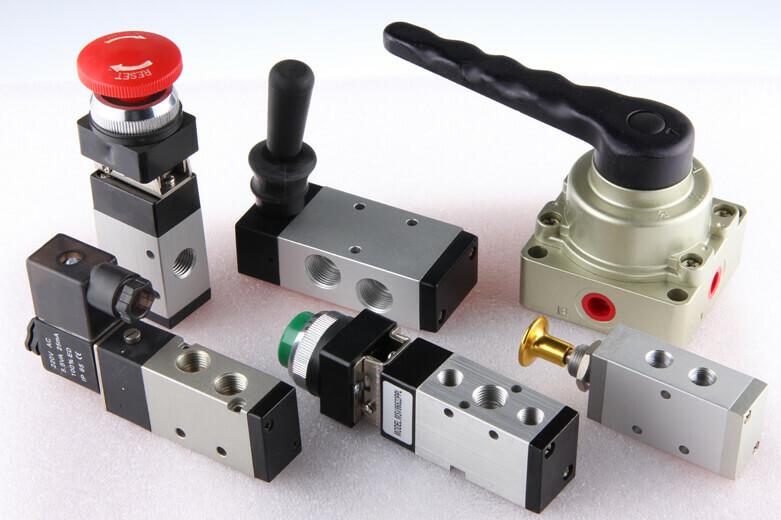 Directional pneumatic control valves can be subdivided into control and switching task. 5. Advantage: The valve being tripped through the use of compressed air (gas). At a particular point in an industrial or manufacturing process, compressed air is released, causing a valve to open or close. When you choose directional pneumatic control valve, you should know the actuator style in your applications. The operate pressure also is a key factor, greatly affects flow rate, it is important to review the performance data presented by the manufacturer to ensure that a valve will perform as required in your application. Mechanical valve relies on a lever, push button, or knob to shift a valve. Manually actuated valves are often used when a machine requires human intervention, or when a machine needs pneumatic output to start another process. 5. Advantage: Fluid entering the valve from any working port does not affect spool movement. Low-force solenoids can be used because the most they need to overcome is mechanical friction and light springs. Mechanic directional valve is widely used for pneumatic industries, when you choose it, one important point is to confirm if the fluid will bypass the seal. 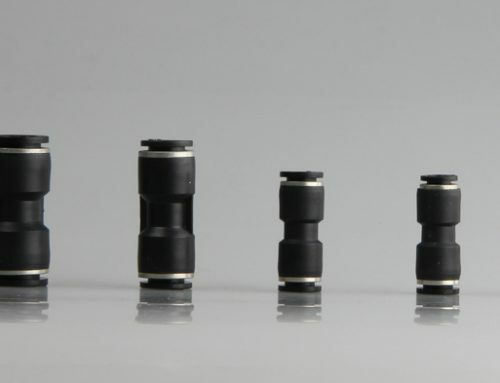 When using any media other than air, it is important to review the materials of construction to ensure that the internal components and seals are compatible with the fluid passing through the valve. Hand/Foot valve is ideal for manual and direct control of pneumatic actuators. Sturdy, lockable, position detection, different outlet port orientation and a practical labeling feature characterize this advanced manual hand lever/ foot pedal valve. 2. Working Pressure: 0-8 bar. 5. Advantage: Ideal choice for the direct manual control of stand-alone actuators and can be used in clamping, pressing, conveying or feeding operations. When choose the hand lever valve / foot pedal valve, you need to know the method to actuate the valve, by hand or by foot, it can help you save much energy and time. At last, the price also a key point to choose the valve, compete many suppliers and choose the suitale one. In today’s highly automated machines, fieldbus valve manifolds are replacing conventional hardwired solutions. They more easily perform vital functions by integrating communication interfaces to pneumatic valve manifolds with input/output (I/O) capabilities. Choosing the pneumatic fieldbus valve manifold for a given automated machine application presents several challenges. 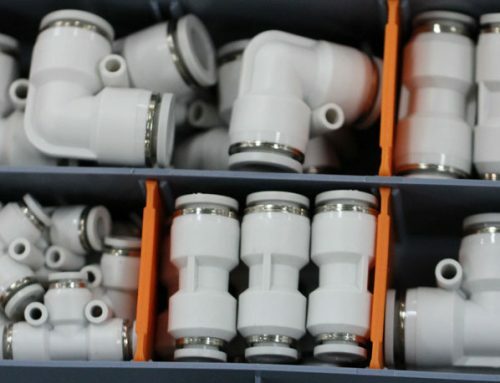 Of special concern are the problems that many conventional pneumatic fieldbus valve manifolds exhibit in the areas of commissioning, distribution, modularity, diagnostics, and recovery. Controls engineers, specifiers, and buyers should consider newly available designs that apply proven technology in innovatively simple ways to resolve these problems.